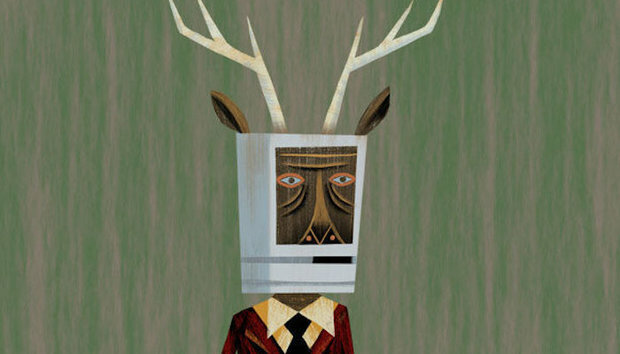 Let the Macalope be clear here: while he prefers iOS, he will defend to the death anyone’s right to choose to use another platform. OK, not really to the death. Come on. These are smartphones we’re talking about. To the hang nail. He will defend your right… to the hang nail. Which is a bad example since hoofed animals don’t get hang nails, but you get the gist of the level of discomfort he’s will to go to. OK. Life with it isn’t so bad, either. No, seriously. Look at me, I’m going now. Bye. I’m going. Here I go. Goodbye. So long. Hey. Hey. Taking off. Just gonna… go. Hello? OK, the Macalope made up that quote. Completely fabricated. But he feels it’s directionally correct for this article. A lot has happened to me in the past month. I had a beautiful baby girl. I started cold brewing coffee. I make my own blender mayonnaise. I knitted a cat. I cleaned out that hall closet and found what was causing the funky smell (Halloween candy from 1991). Also, I shot a man in Reno… but on Kodachrome. You didn’t see that coming. Anyway, not to steal the thunder from Wilson’s amazeballs month but he also switched from an iPhone to a Pixel 2. …if you’ve already handed your digital life to Google, Android probably makes more sense. Yes, it does! If you have decided you just don’t care about Google scanning your email and rifling through your stuff which, let’s face it, they really consider yours and theirs, then why not just be on the platform that also collects your location and sends it back to Google even when location services are turned off? Why not? The word “privacy” only appears once in this piece and in a “Who cares?” context. At least Google is giving me something back for the privacy trade-off. As long as you’re getting something for your immortal soul, why not enter into that bargain with the Prince of Lies? Hey, if you don’t care about one of the signature features of iOS, then vaya con Dios. The thing is, a lot of people do care. Instead, the first thing that Wilson lists as a plus for Android is that he finds the yellow dot on apps to signify notifications more “chill” than the red dot used in iOS. You know what’s probably even chiller, my dude? Turning off notification badges. …many Android phones feature a fingerprint unlock on the upper rear of the phone, rather than the front bottom. This allows you to cradle the giant Moses tablet in your hand, rather than pinching it at the bottom and praying it doesn’t fall. If only there were some sort of other option like, oh, just brainstorming here, maybe facial recognition or something. OH, WELL. Other things Wilson prefers include the ability to put an app anywhere as well as committing your digital life to a heartless, artificial construct designed by what is essentially an advertising company. Chances are good that, even if you’re an Apple loyalist, you still use Google search, Gmail, and even Google Photos or Docs on a daily basis. The Macalope sure doesn’t do that. Swipe left on Android, and you arrive at a feed of stories that Google already knows you’ll be interested in because, let’s admit it, Google knows you better than you know yourself. Google… knows you better than you know yourself. Nothing creepy about that. And, besides, it’s not like this hive mind is going to build itself. Wilson also doesn’t mention security. Apple has certainly had a bad month with bugs and hopefully it’s just a temporary problem. Android’s security woes, on the other hand, are well-trodden territory that are exacerbated by systemic problems with the platform (granted, that are less of an issue on a Pixel). The point is not that Wilson is making a terrible mistake, though. People are permitted to like what they like and Wilson may be making the right choice for Mark Wilson. However, because he simply casts aside some important differences between the two platforms, his choice isn’t very applicable to anyone else.